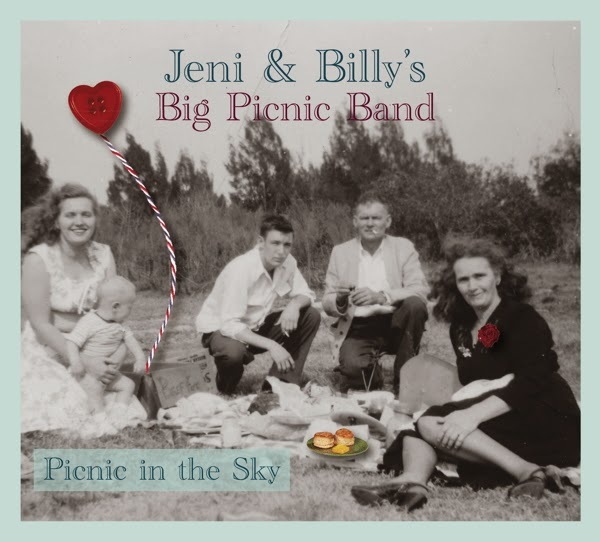 Faith, family, tradition and love are the key ingredients that fuel the music of Jeni Hankins and Billy Kemp and all are to be found in abundance on their new album PICNIC IN THE SKY. This hastily arranged project for the Nashville based couple was an opportunity too good to turn down as they headed west to LA after a chance meeting with producer Dave Way. The result is probably their most complete album to date without losing any of the legitimacy that marks their core Appalachian sound. If anything the widening of instrumental input from the assembled session musicians, given the temporary accolade of the Big Picnic Band, has enhanced the vocal elegance of Jeni and the effectiveness of the harmony driven duets with Billy. For the record, Billy is a city boy from Baltimore chasing the country dream while Jeni is a country girl from West Virginia living the country dream. Together they make sweet music as rooted in the sound of their ideal rural surroundings as you could expect. Inspired by her ancestral heritage and dreamy summers on Smith Ridge, Jeni recounts the tales of her youth with vibrant pride and entwines them with the romantic musings of literary giants like Austin, Bronte and Gaskell. The positive, melodic and spiritual vibes are etched into the core of the record and in no finer detail than the standout title track ‘Picnic in the Sky’ with the striking line ‘frozen dinners were a special treat listening to radio obituaries’ painting a vivid nostalgic picture. All eleven tracks are originals, although spanning a near decade in their composition. Perhaps Jeni and Billy had to dig deep into their song locker to ensure this golden opportunity was maximised. Billy especially had the freedom to relinquish his engineer duties to concentrate on guitar, banjo, harmonica and piano as well as sharpening up his vocal contributions. The duets are aplenty including the classic country waltz ‘Reckoning Day’ and the throwback style ‘The Old Hotel’ where for a moment Jeni and Billy almost revert back to their normal duo status. As we have come accustomed to on Jeni and Billy recordings, the stories are told in clear prose with ‘McHenry Street’ being inspired by a sighting on the streets of Billy’s home city Baltimore and ‘The Days of the Blue Tattoo’ re-telling a story of Olive Oatman who was captured and subsequently released by tribes in the Gold Rush days. One of the most redeeming features of the record is the beautifully presented and highly informative packaging. However this is only to be expected from a duo which extol fierce pride in their work and come over even more sincere if you attend one of their live shows. From an album which starts with an up tempo re-write of the traditional Froggy Went a-Courtin’ song, titled ‘The Robin and the Banjo’ and ends with the haunting gospel tones of ‘Made as New’, the rest is filled with a glowing assortment of fiddle, steel, banjo, mandolin and a multitude of percussion to convey the convincing message Jeni and Billy want to relay through music and song. 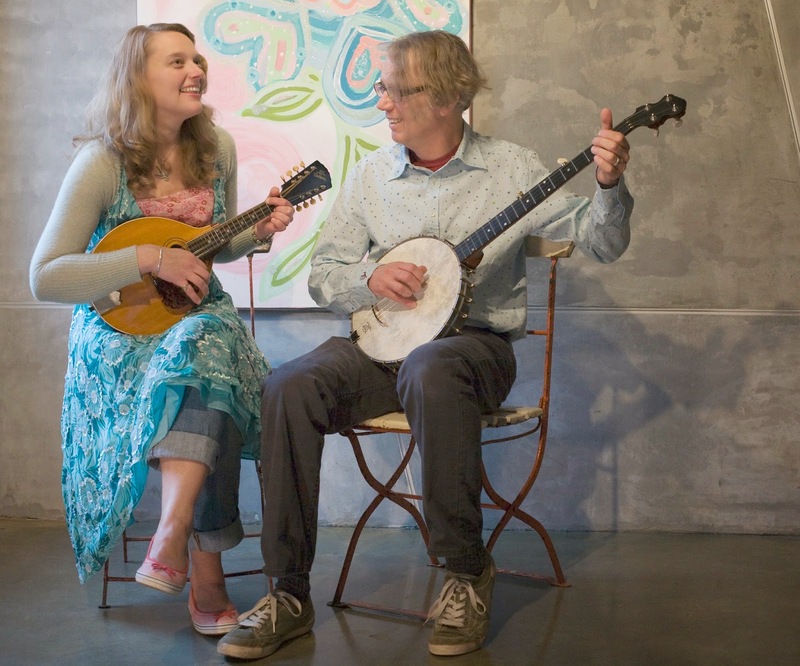 The duo have created a tight touring niche in the UK over the last few years and maybe PICNIC IN THE SKY will be the record to engage with a wider audience in the country, roots, Americana and folk communities.